← How Many Millennials Actually Watch Jon Stewart? The New York Times is repository for all manner of inexplicable advertising (see our Civilians Who Run Full-Page Ads in the New York Times series for representative samples), so the hardworking staff was not surprised to see this in yesterday’s edition. The White House Historical Association is a nonprofit educational association founded in 1961 for the purpose of enhancing the understanding, appreciation, and enjoyment of the Executive Mansion. All proceeds from the sale of the association’s books and products are used to fund the acquisition of historic furnishings and art work for the permanent White House collection, assist in the preservation of public rooms, and further its educational mission. In 1961, when the National Park Service suggested that such an association be formed, the idea received First Lady Jacqueline Kennedy’s ready approval. In July 1962, The White House: An Historic Guide was delivered to a public that had already ordered 10,000 copies. The guide is now in its 23rd edition. Full disclosure: We’re not sure this outfit is associated with the actual White House, but then again, we’re not sure it matters. 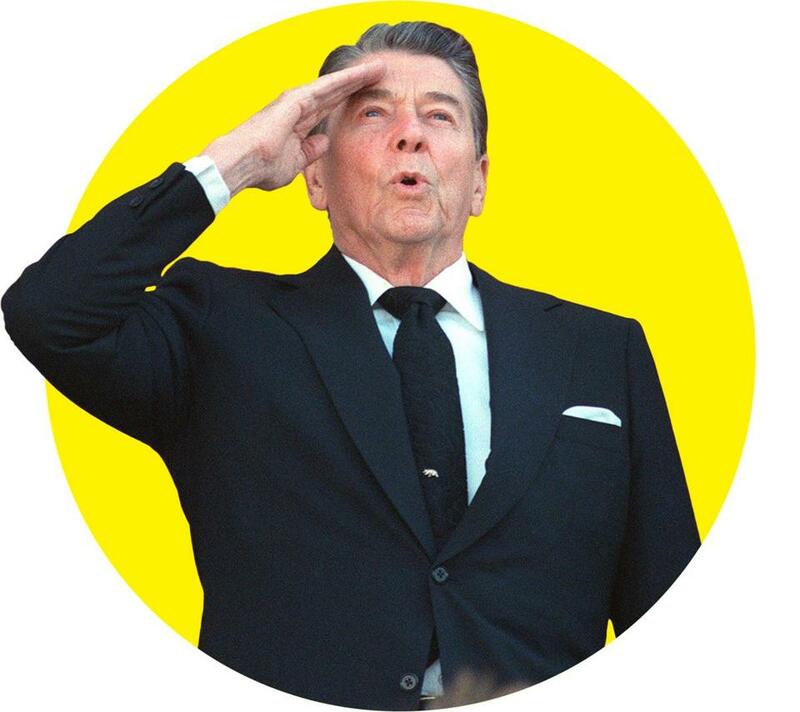 A couple weeks back, the Capital Quiz explored famous political insults. Turns out, we only scratched the surface. And so, another round! See how many you know. 8. Who was Harry Truman referring to when he described a presidency like this: “He sat with his feet in his desk drawer and did nothing”? Thanks to the White House Historical Association, though, he’s done something now. 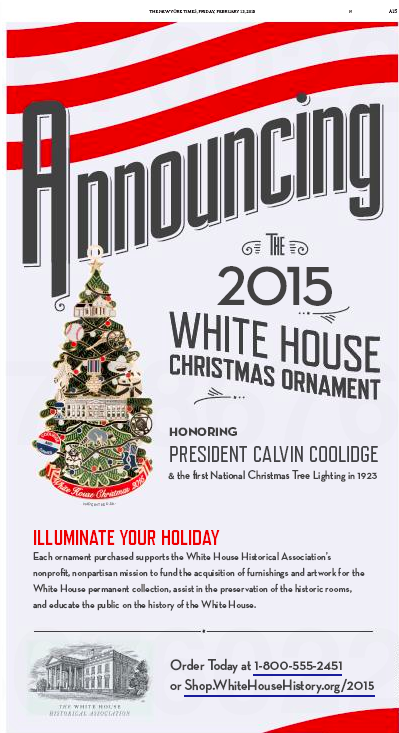 This entry was posted in Uncategorized and tagged 2015 White House Christmas Ornament, Boston Globe, Calvin Coolidge, Capital, Harry Truman, History Channel, National Christmas Tree Lighting, New York Times, White House Historical Association. Bookmark the permalink.